Don’t miss our March edition of Washington Water Watch! This month you’ll find articles about CELP’s recent victory in our Spokane River PCB challenge, the positive outcome of our Columbia River challenge, updates on other water issues and the Legislative session, an introduction to our new Development and Outreach Coordinator, and more. If you aren’t already signed up to receive our monthly newsletter, sign up at the bottom of the page. On May 21 we invite you to Celebrate Water 2015 by joining CELP members to honor the Upper Columbia United Tribes (UCUT) at Ivar’s Salmon House in Seattle. Click here for event information. The five Tribes of UCUT are the Confederated Tribes of the Colville Reservation, the Spokane Tribe of Indians, the Kalispel Tribe of Indians, the Coeur d’Alene Tribe, and the Kootenai Tribe of Idaho. Even while Canada and the United States continue to posture on modernizing the Columbia River Treaty, UCUT is moving forward with the first phase to return salmon home to ancestral spawning waters of the Upper Columbia. This is an historically important first step. The Tribes (and First Nations in Canada) need public support to bring the salmon home. 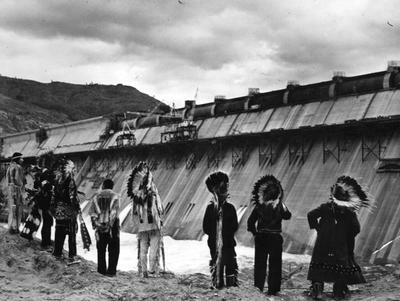 In 1942, 450 years after Columbus stepped foot in the Americas and less than 140 years after David Thompson and Lewis & Clark stepped foot into the Columbia River Basin, the gates at Grand Coulee dam in the U.S. closed with the tacit approval of the Canadian government. No passage was provided for the millions of salmon returning each year to the Upper Columbia, as key species for the environment. Tribes and First Nations were never consulted. What were the consequences of those Columbia River dams — besides cheap power for communities like Seattle, flood control for Portland, and other benefits mostly for non-Indian people? For indigenous people, the salmon, and the river ecosystem, the consequences were devastating. With the closing of those gates at Grand Coulee dam, the waters began to rise. A whole way of life in those river valleys that had existed from “time immemorial” was drowned, permanently flooded. Traumas move through generations. Suicide rates remain high on Indian reservations, especially among Indian youth. In recent months, both the Spokane Tribe of Indians and the Colvilles have declared suicide emergencies. Recognizing that mental health and ecosystem health are linked, and the importance of salmon to their cultures, all five Tribes are moving forward with returning salmon to the Upper Columbia. Their efforts in rebuilding the salmon runs of the Upper Columbia benefits all people – indigenous or nonindgenous – in the Columbia Basin, Puget Sound, and the West Coast. (For more, view the short film One River. Ethics Matter, or learn about the Ethics & Treaty Project). On May 21 at Ivar’s Salmon House in Seattle, we will be honoring UCUT (and through them, the indigenous people of the Upper Columbia) for their leadership in restoring salmon and the river. CELP is also working with UCUT to promote a new film, Treaty Talks that helps tell the story. In Spokane, the U.S. District Court Judge Barbara Rothstein issued a decision today in the matter of Sierra Club and Center for Environmental Law & Policy (CELP) versus U.S. Environmental Protection Agency (EPA). The Court ruled that EPA abused its discretion in agreeing to allow a polluter-dominated committee process substitute for a cleanup plan for Spokane River PCBs. Sierra Club & CELP filed the citizen lawsuit against EPA in 2011. 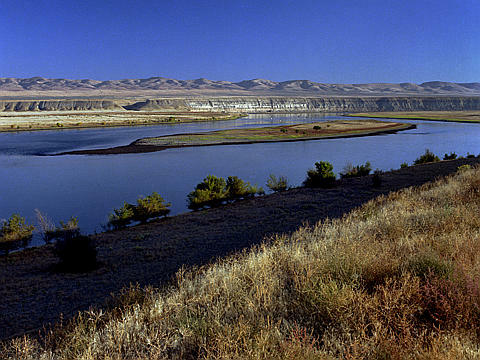 The Spokane Tribe of Indians intervened in support of the lawsuit, and the Department of Ecology, Spokane County and Kaiser intervened to defend EPA. In 2011, the Washington Department of Ecology reversed course and abandoned efforts to adopt a PCB cleanup plan, largely because of political opposition by Spokane River polluters, who would be required to reduce PCBs in effluent by up to 99% to meet both Washington State and Spokane Tribe water quality standards. These polluters include Inland Empire Paper, Kaiser, and the Liberty Lake, Spokane County, and City of Spokane sewage treatment plants. Instead, Ecology formed the Spokane River Toxics Task Force and required the polluters to participate, but also gave them control over the goals and activities of the Task Force. PCBs are a group of industrial compounds associated with liver dysfunction and cancer, and are now banned in the United States. 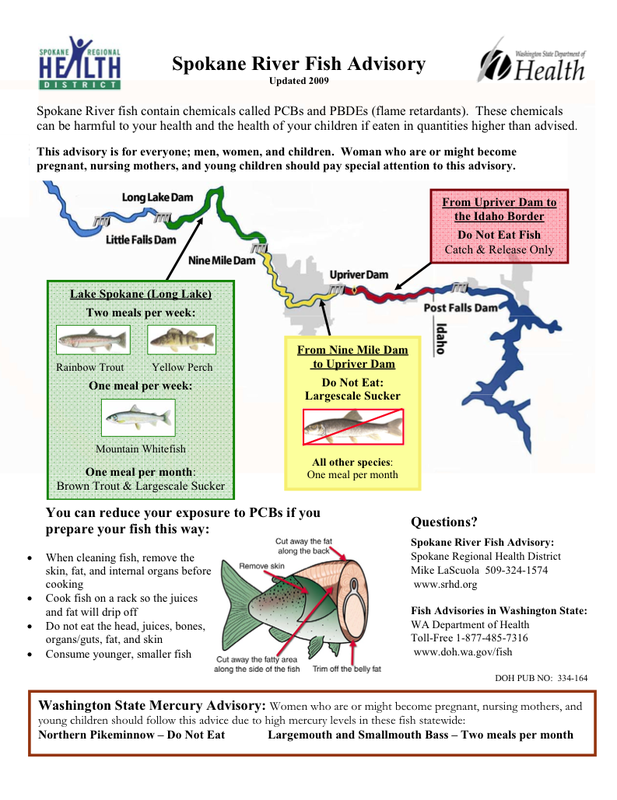 Washington State recognizes that the Spokane River is impaired for PCBs. 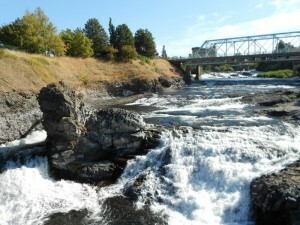 The Department of Ecology issues pollution permits (known as NPDES permits) to companies (such as Inland Empire Paper and Kaiser) and municipalities, allowing them to pollute the Spokane River up to certain thresholds. The federal Clean Water Act requires a clean-up plan (called a TMDL or “total maximum daily load”) before issuing any permits that would add more PCBs to the Spokane River. The Washington Department of Ecology is attempting to side-step the law by not preparing a PCB cleanup plan, and issuing NPDES permits anyway. Sierra Club and CELP are also defending their victory in their 2011 challenge to the pollution discharge permit issues to Spokane County’s new sewage treatment plant. In 2013, the Pollution Control Hearing Board (PCHB) ruled that the “state of the art” plant was discharging PCBs and had the potential to violate state and tribal water quality standards. The PCHB directed Ecology to issue a new permit with appropriate pollution limits. Instead of issuing such permit, Ecology and Spokane County appealed the matter to Thurston County Superior Court. That court affirmed the PCHB in the fall of 2014. Ecology and the County recently appealed the matter to the Court of Appeals. The County continues to operate the plant, and to discharge PCBs into the Spokane River. Sierra Club and CELP are represented by Richard Smith of Smith & Lowney, a Seattle firm specializing in Clean Water Act litigation.